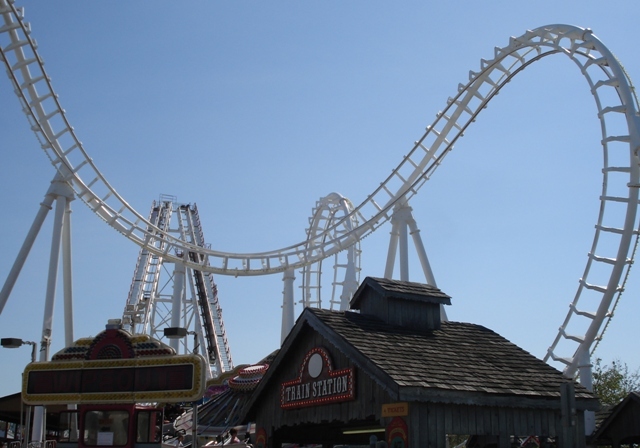 As part of my Memorial Day weekend celebration, I took a trip to Ocean City, Maryland, on Monday. The place was bustling, but not as busy as normal on Memorial Day (there was plenty of parking to be had). I blame gas prices. 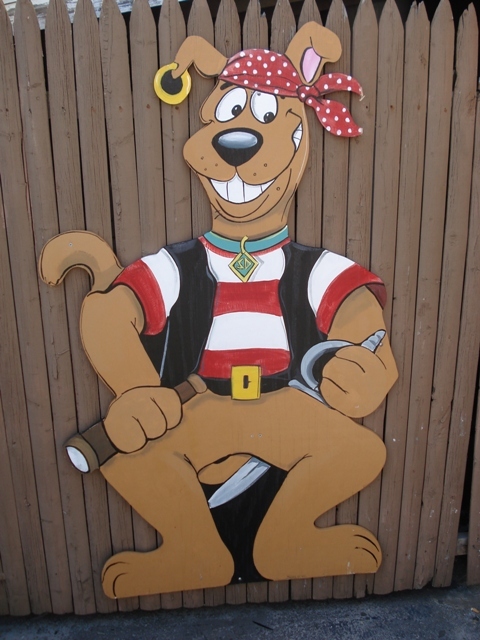 I posted the rest of my Memorial Day weekend adventures on the "Random" board, but since there seems to be a serious lack of OC representation on TPR (none of its parks are represented in the Park Index, though three out of five of them have credits), I thought I'd snap a few shots today at Trimper's Rides and Jolly Roger at the Pier to add to the collection. Enjoy! 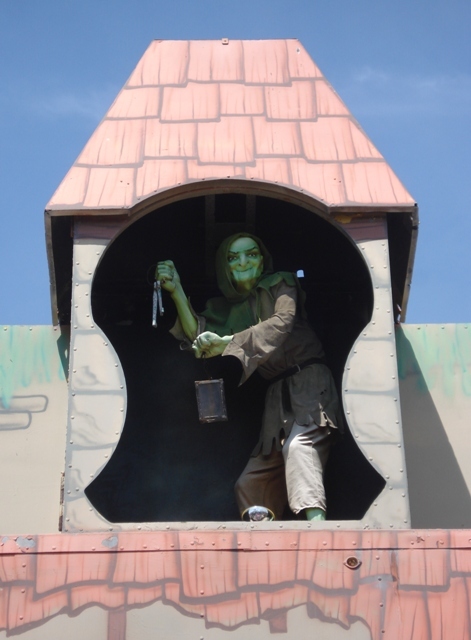 This 1960s Bill Tracy Haunted House is one of my favorite rides ever. 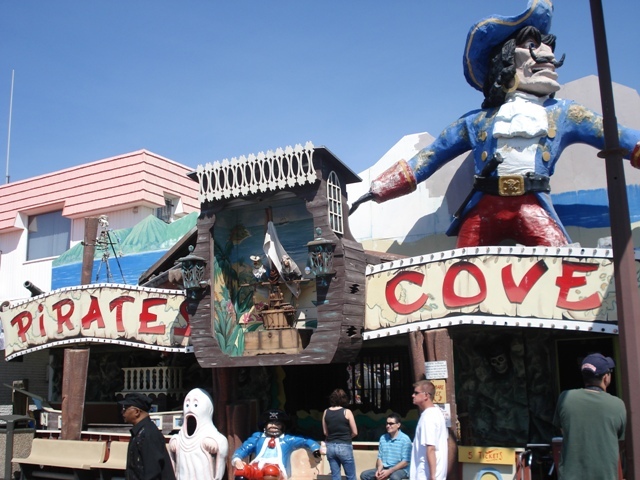 Operated by Trimper's (but not included in Trimper's POP plan), it opened in 1962 and was updated in 1988 when Trimper's purchased props from Tracy's Ghost Ship ride upon the closing of nearby competitor Playland, where the Ghost Ship was located. 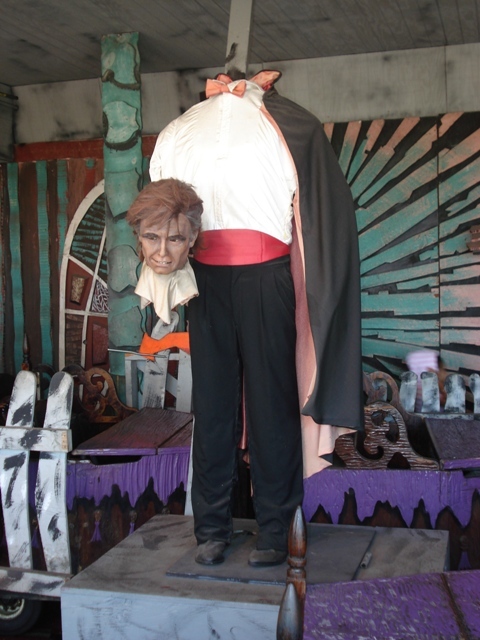 This Audio-Animatronic headless pitchman calls to patrons on the boardwalk, daring them to enter. Theming as seen from the outside. ...complete with "Rest in Peace" signs on the back. 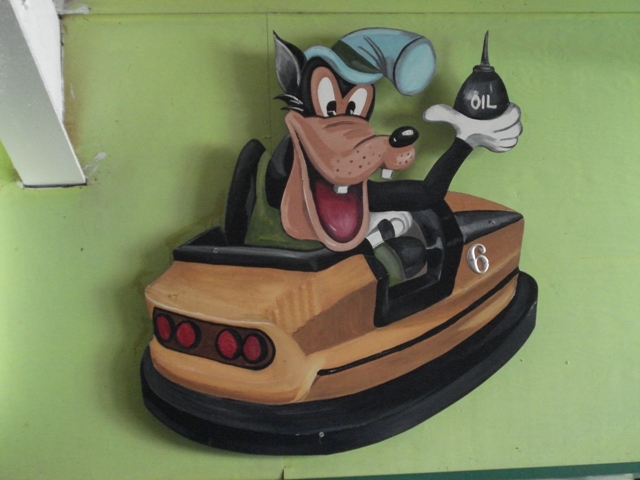 Trimper's also features one of the last remaining Bill Tracy walk-through dark rides, Pirates Cove, added to the park in 1971. 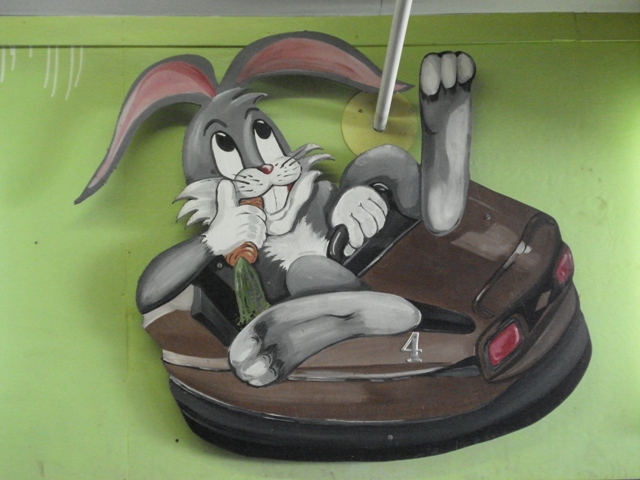 It's almost impossible to get a good, clean shot of the entrance anymore--or many of Trimper's other rides, for that matter--because the park has added so many new attractions in recent years. 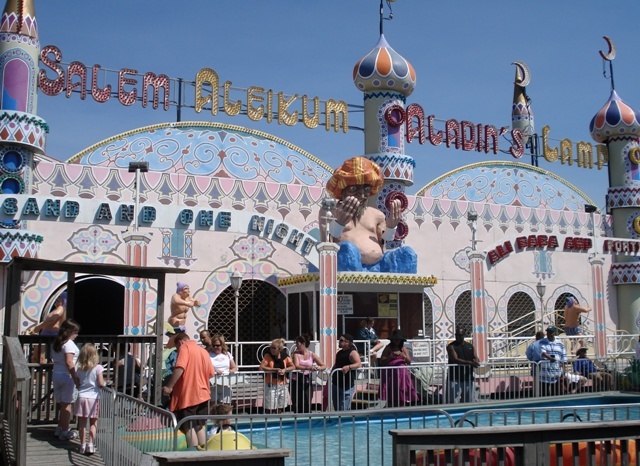 A close cousin of the dark ride, Aladin's Lamp is my favorite fun house of all time. 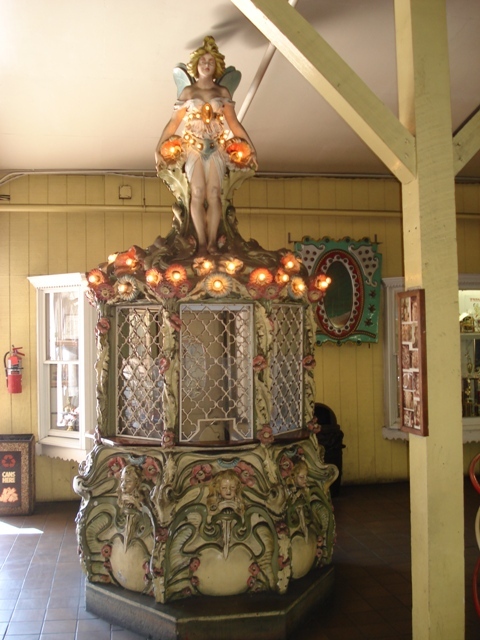 It still has its human roulette wheel inside (though tamed down a bit from its early 20th century predecessors) and a spinning barrel at the end. 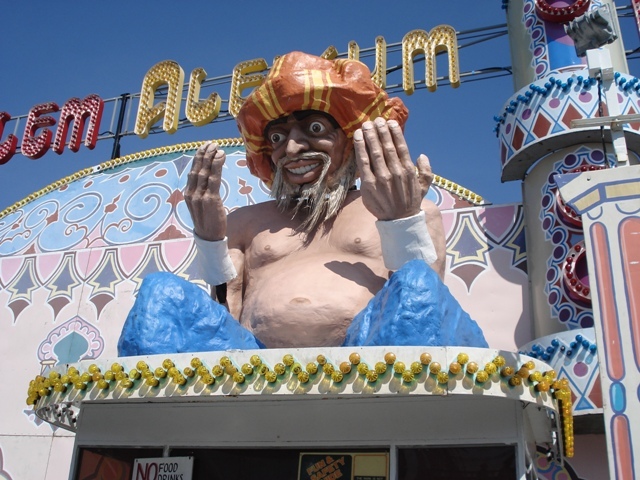 Ali Baba watches over the entrance. His hands and head usually move up and down, but they were stationary on this day. I hope it's only temporary. One of the exterior obstacles. These gentlemen move the bridge back and forth. Trimper's has gotten more PC recently. 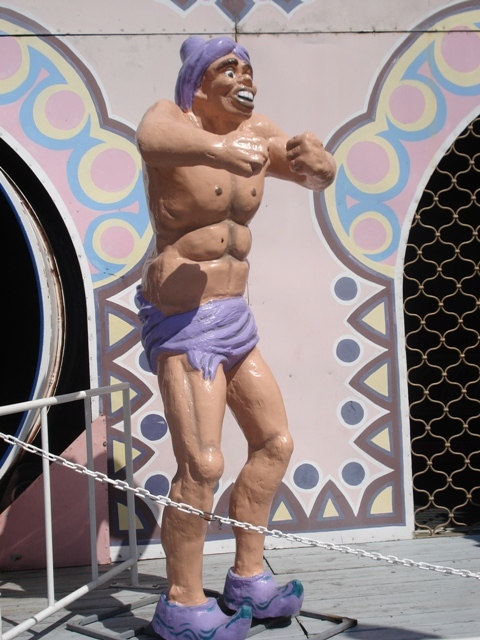 All the Aladin's Lamp palace guards, like this fellow, sported more ethnic paint jobs until a couple years ago. 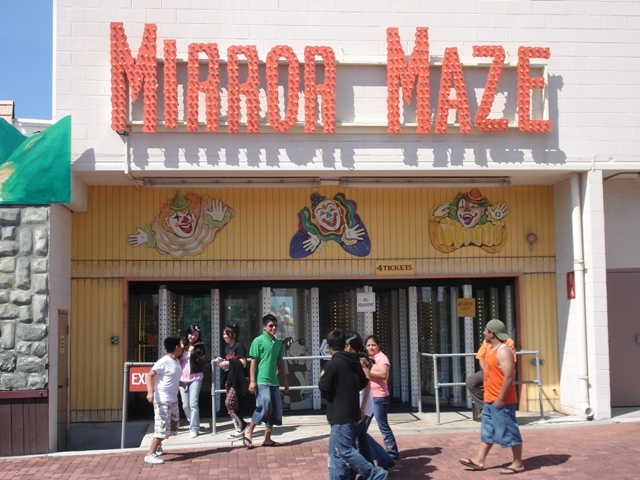 And here's a close cousin of the fun house, the Mirror Maze. 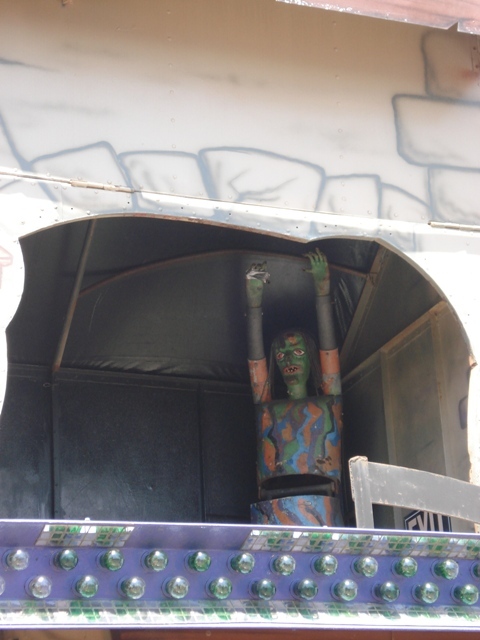 Trimper's added clowns to the entrance this year, making the attraction more "fun" (or scary, depending on your point of view). 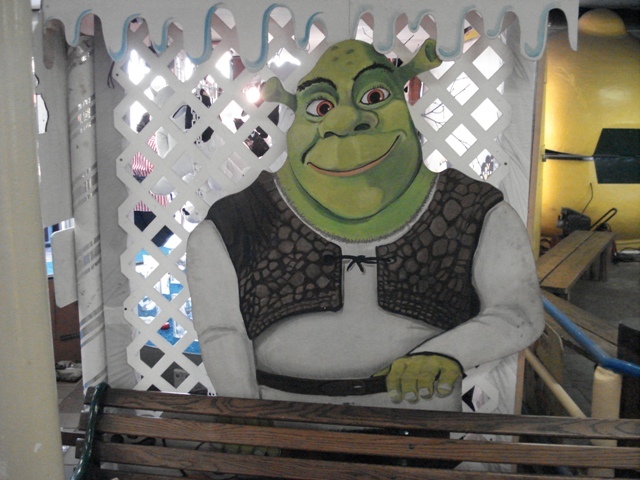 But you didn't come here for dark rides, fun houses or mirror mazes, darn it! 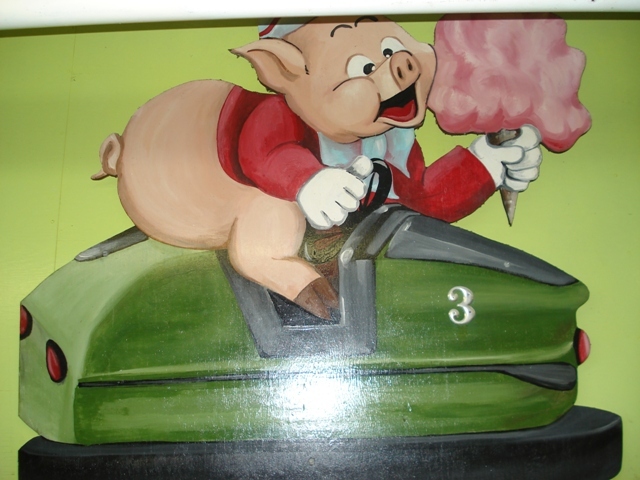 You came here for coasters! Here's the biggest name in town: the Tidal Wave. Again, getting a clean shot is pretty much impossible. 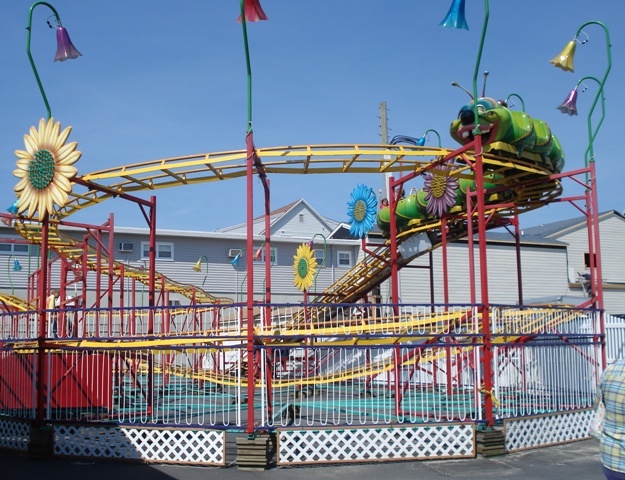 The boomerang-style coaster made an appearance in the 1986 movie "Violets are Blue," starring Sissy Spacek and Kevin Kline. But you'd better be quick if you want to grab the credit for yourself; Trimper's just narrowly missed being sold off for condos at the end of last season. Any year could be this park's last. Followed by one of Trimper's more recent additions, the Wacky Worm. Know what makes me cooler than you? I actually have this credit! 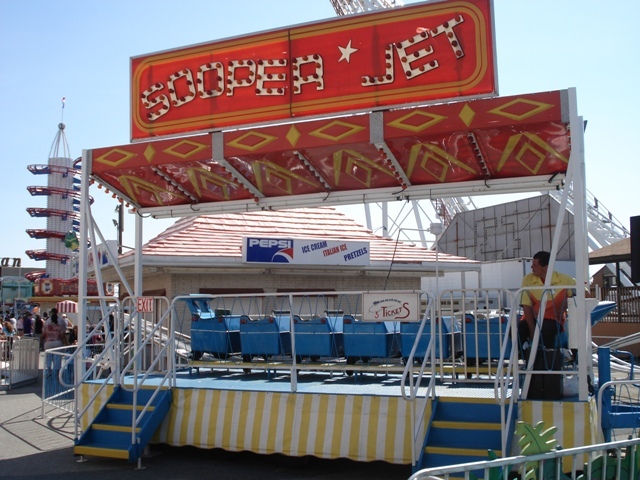 The Sooper Jet has been the park's kiddie coaster since I was young enough to ride it. 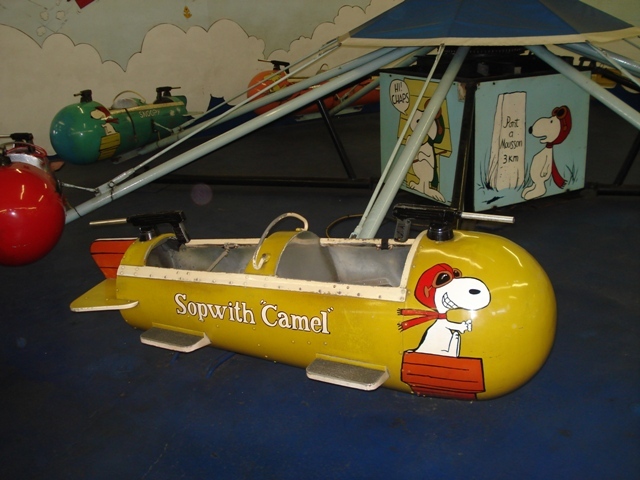 No adults on board, though, so don't even bother asking. 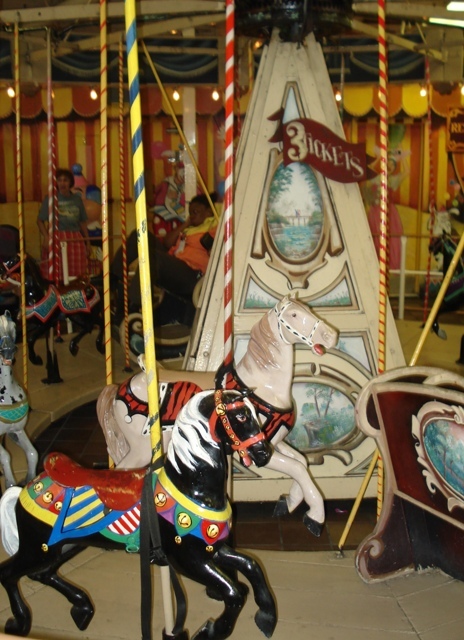 You can't really say you've been to Trimper's until you ride the carousel. 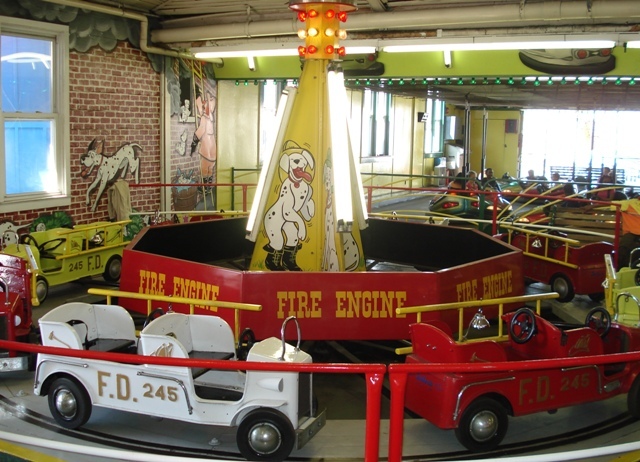 Originally powered by steam, it was the second one made by the Herschell-Spillman Co., and the first one, operated at Coney Island, burned. So what does that make this? 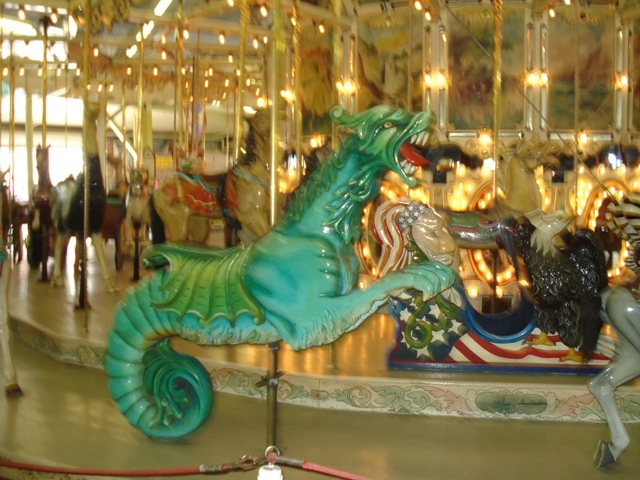 Yep, the oldest Herschell-Spillman carousel in existence. It's operated continuously since 1902. ...and even a dragon! Not to mention a camel, a zebra, a giraffe, a frog and a very unique rocking chariot. 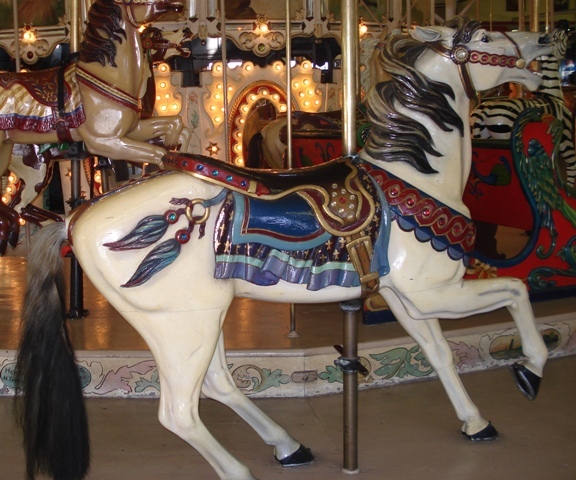 For the little ones, there's also an antique mini-carousel. 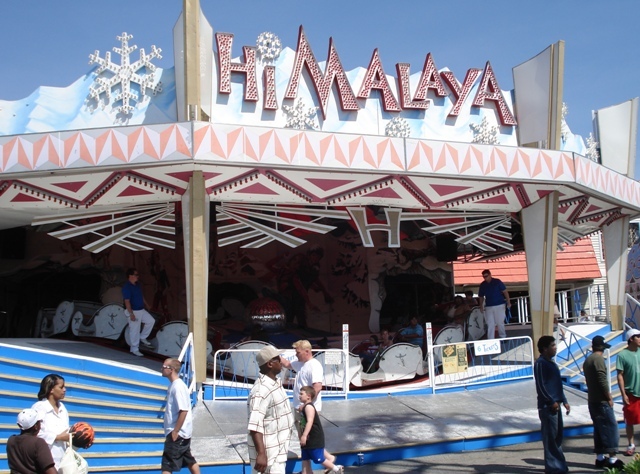 Love the Himalaya. 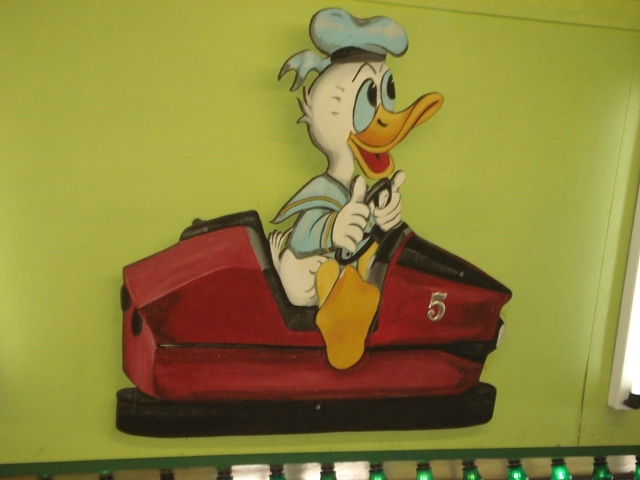 Each ride takes you forward, then backward, then forward again. 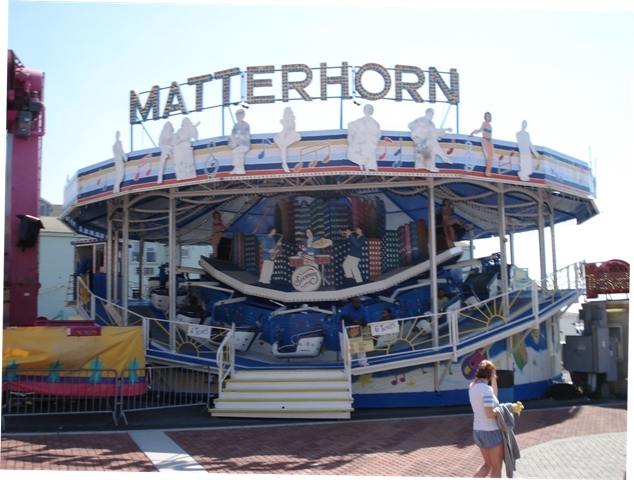 The Matterhorn is fun, but the 1970s go-go dancer plywood cutouts on top are looking a lot worse for wear. 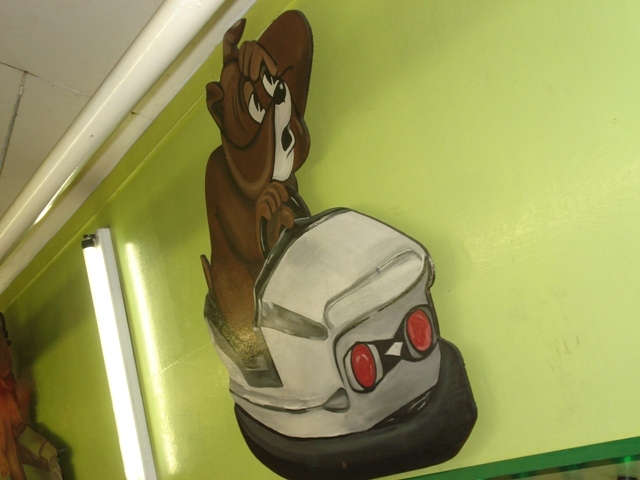 Fortunately, Trimper's usually doesn't let stuff like that linger too long, which means they'll probably be repainted in the very near future. 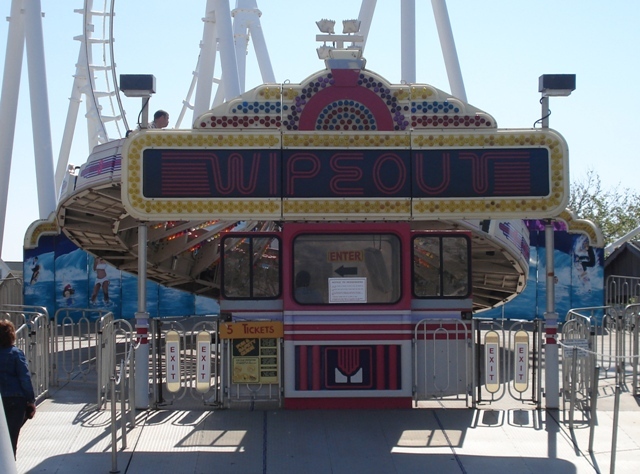 The Zipper and the Avalanche share space with the Tilt-A-Whirl and Inverter (not pictured) in this corner of the park. Supports for the Tidal Wave surround Wipeout. 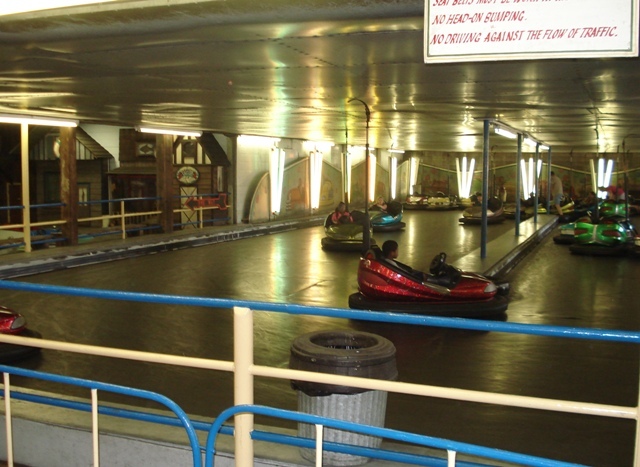 Inside are a lot of classic and antique rides, including bumper cars that feature a median to further reduce head-on collisions (and increase wall bumping). 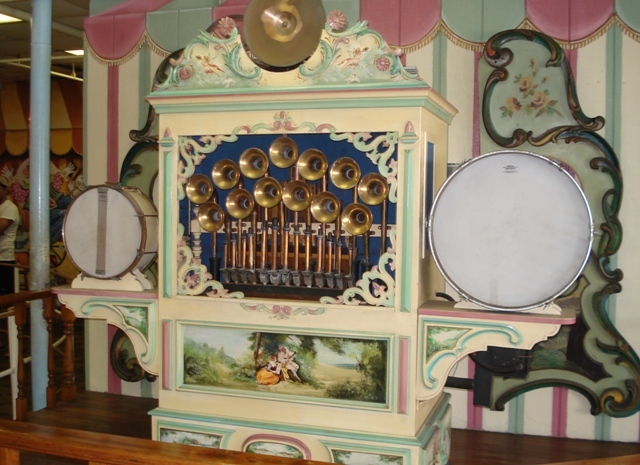 This 1930s mechanical band machine fills the indoor section of the park with music. 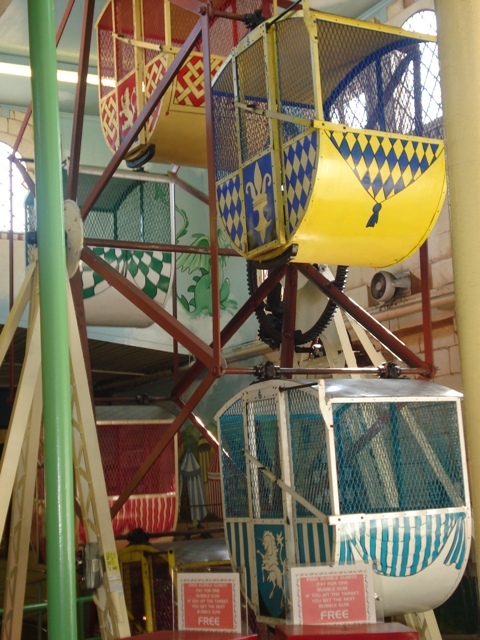 This 1930s kiddie Ferris wheel is another classic. As is this 1930s-era ticket booth. I remember watching this crumble for years when I was a kid. It's been restored now for a decade or more. I'd say the results were worth the wait. The 1950s firetrucks feature the names of local volunteer fire companies on their backs. 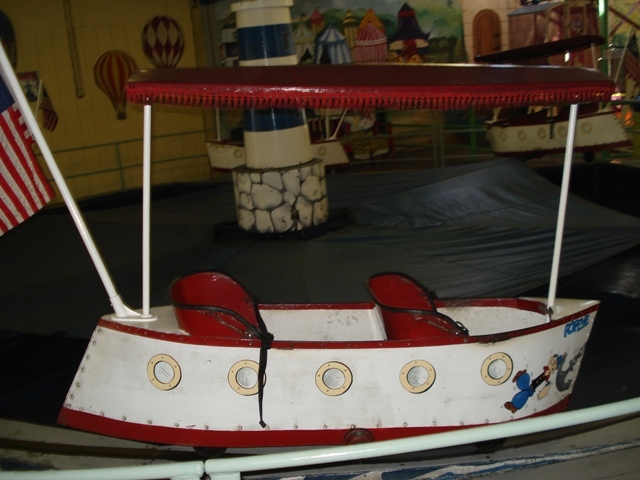 This boat ride has been here since the '50s. 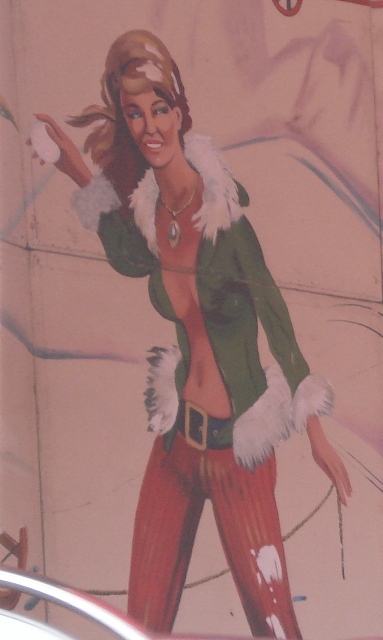 It and the adjacent Fairy Whip used to be my favorites as a kid. No pictures of the Fairy Whip, unfortunately; it was full of kids all day. These boats used to be battleships in the '50s. 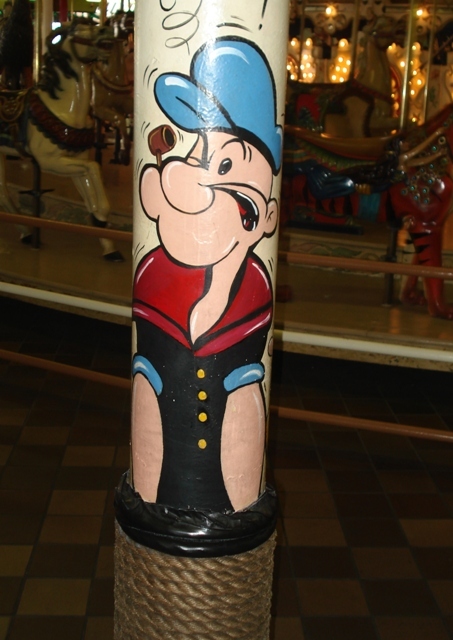 Now they're Popeye ships. 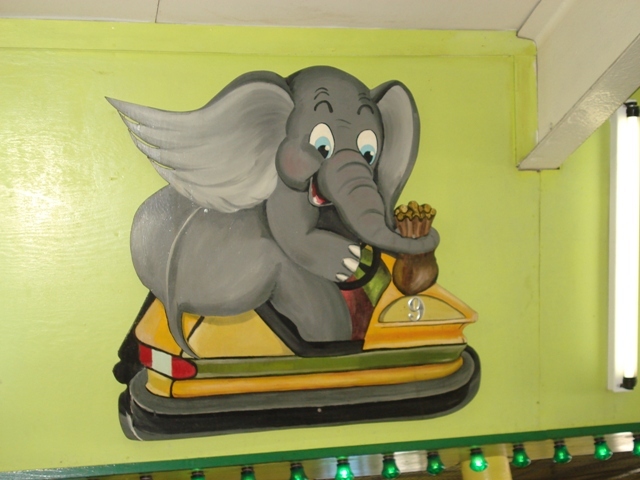 Actually, there's a LOT of copyright infringement at this park, much (but not all) of it dating back to the '50s. ...and--wait a minute, this isn't a copyrighted character! 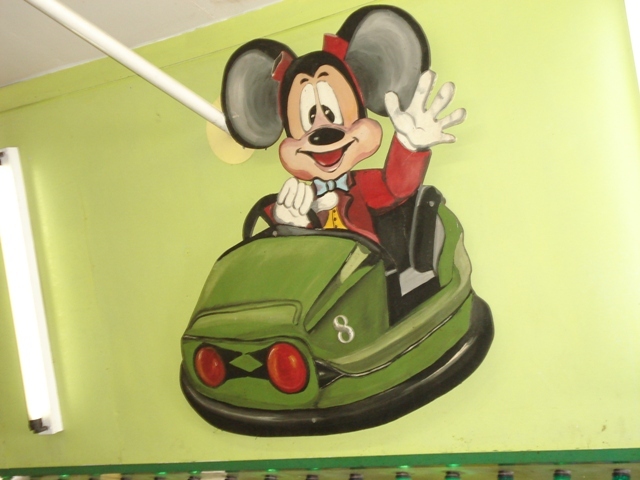 I wish it was, though, because I would SO watch a cartoon called "Bug-Eyed 1950s Disco Police Mouse!" 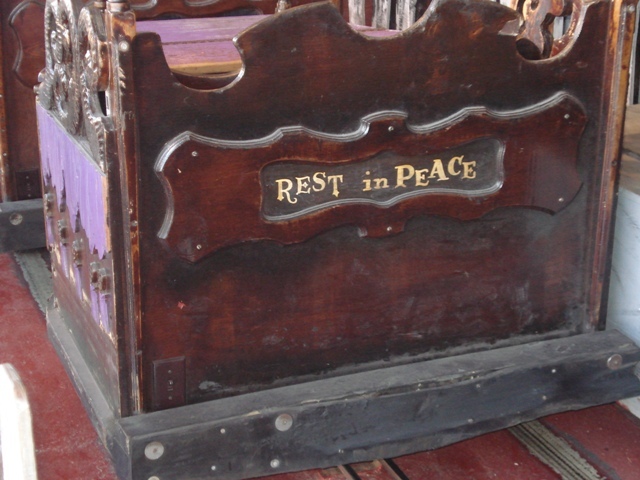 As tough as it is to get good pictures of the rides at Trimper's, it's even harder at Jolly Roger at the Pier. 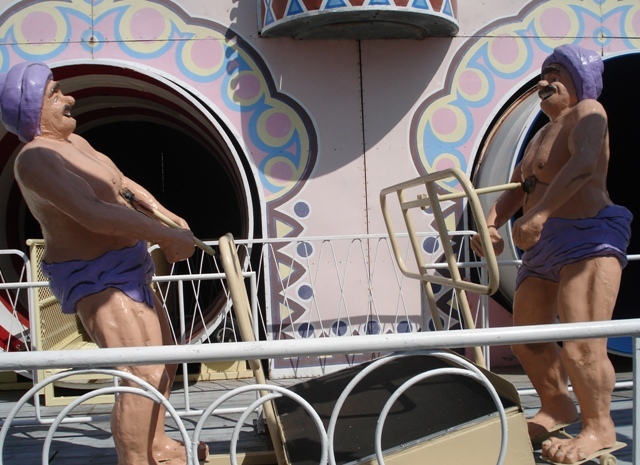 The rides are so packed together, it's impossible to back up more than three or four feet. Plus I wasn't really thinking "TPR photos" when I breezed through this section, so most of what I have I took for myself. 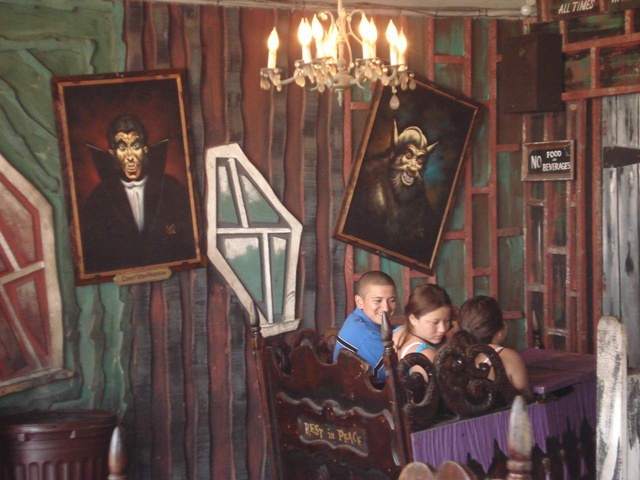 Having said that, here's a detail shot from the haunted house, Morbid Manor. 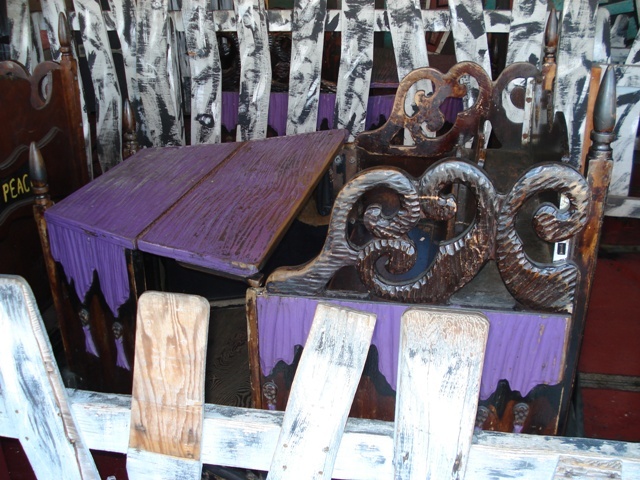 I'm very impressed with the "plussing" Jolly Roger has done to this attraction since purchasing the park last year. This was the neatest thing. 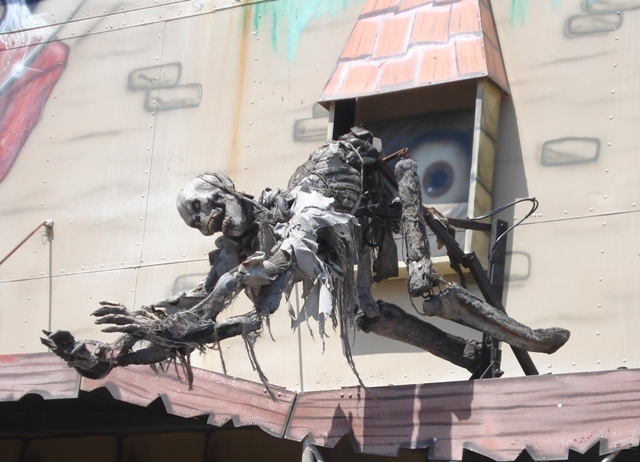 As you walked by, this skeleton on top of the fun house just looked like a pile of bones-or-something. But then an air horn sounded, and the "pile" jumped up, turning into a full skeleton and lurching forward as if ready to jump off the building and attack anyone who happened to be standing below. 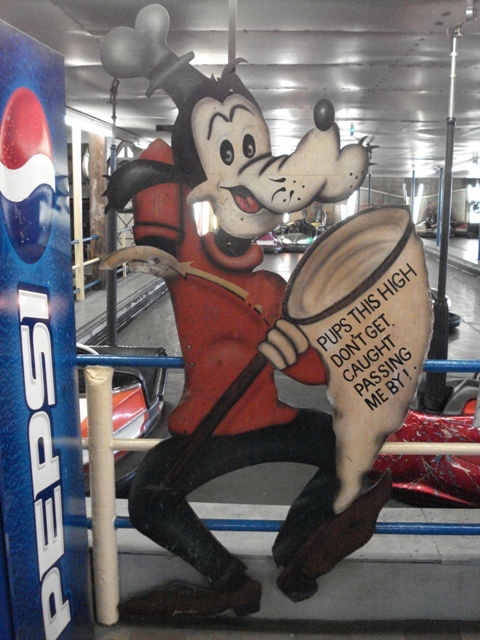 I just happened to be in the right place at the right time to capture it on, er, pixels; I assume it's set for specific intervals, as this was the only time I saw this gag go off during my short stay on the pier. 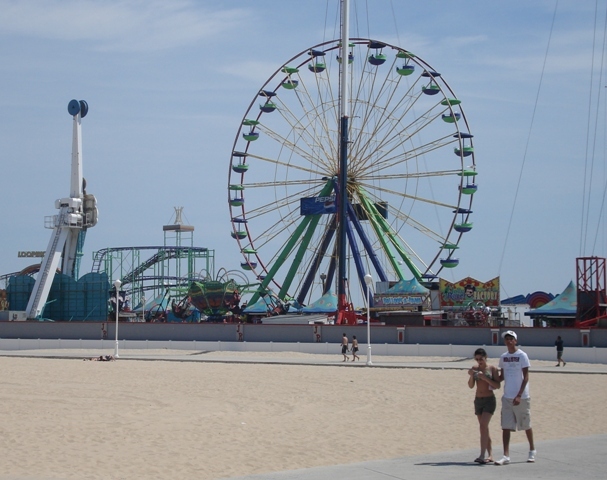 And this is the pier's famous giant Ferris wheel, as seen from the boardwalk, along with a few of the park's other rides, including the Looping Star coaster. And what's that I see on the right? A credit AND a bikini in the same photo? Take that, Big Mike! Here's more of the track, recently repainted to match Jolly Roger's clashing neon purple and green signature paint scheme. Bonus park! Though I didn't visit Jolly Roger's flagship park on Memorial Day, I did pass by there a few weeks ago while on assignment for an online publication based out of Baltimore, so I snapped a couple shots from the sidewalk while I was in the neighborhood. 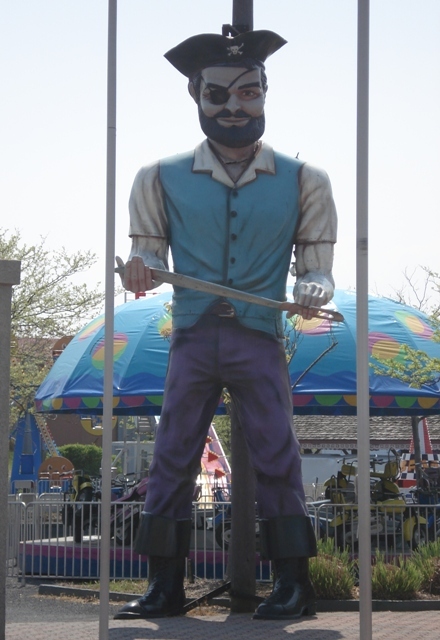 Behold: Jolly Roger himself (a converted Muffler Man, for those of you who follow such things). 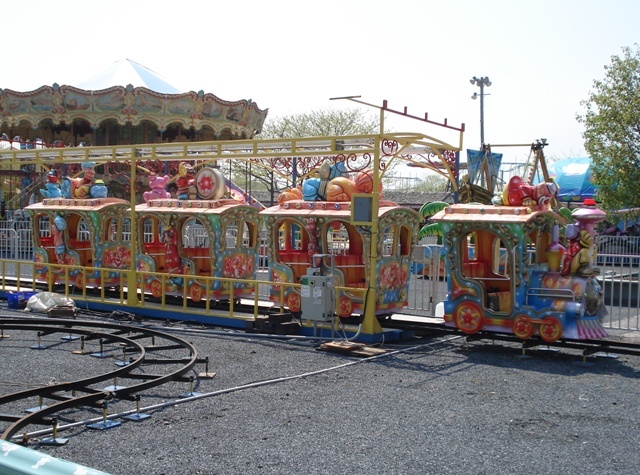 Last time I was at Jolly Roger (in 2003), it contained just one credit, and this kiddie circus train obviously wasn't it (it was an off-the-shelf Wild Mouse). But when the park is still a few weeks away from opening for the season and you're limited to sidewalk access, you take what you can get. Thanks for reading! I'm enjoying these smaller park TRs of late. This is another good one. Some of the dark ride figures are pretty cool (severed head guy, creepy green guy in tower, pile o'bones lurching skeleton). Thanks for putting this up. Man this brings back some old memories. 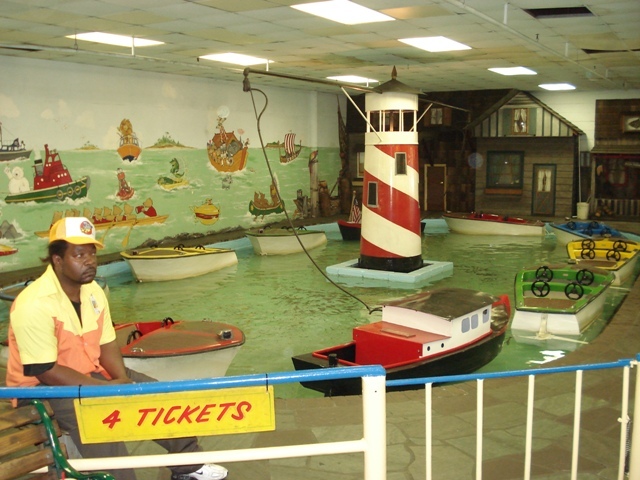 I used to go to Ocean City every year when I was younger. I haven't been back since '03 when I took my wife there. Thanks for posting these! Hey thanks for posting. My friends invited me to go with them there this summer. Great photos. I play Metroid every day! I'm going to assateague this summer, and one of the things I'll be doing is visiting Ocean City and probably going to a few of these parks. Tell me, does Trimper's or the Pier charge you at the gate, or is admittance free? This is my signature. Deal with it. 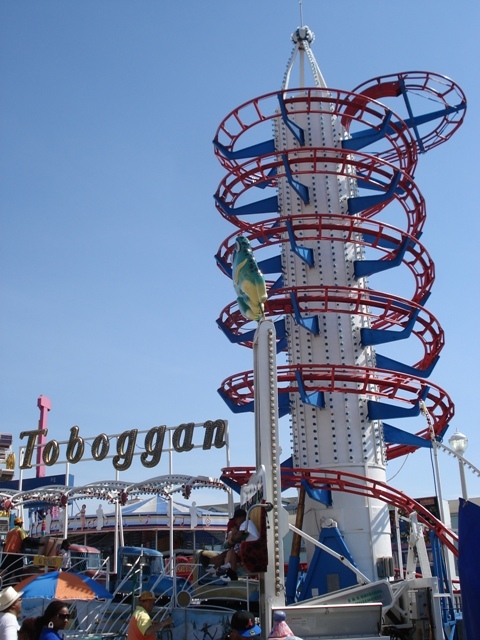 I've gone to Trimpiers a few times, but I only have the Tobaggan and Looping Star credits. It seems like everytime I go, its too early in the year for any other coaster to be open, but they do have some other cool rides. 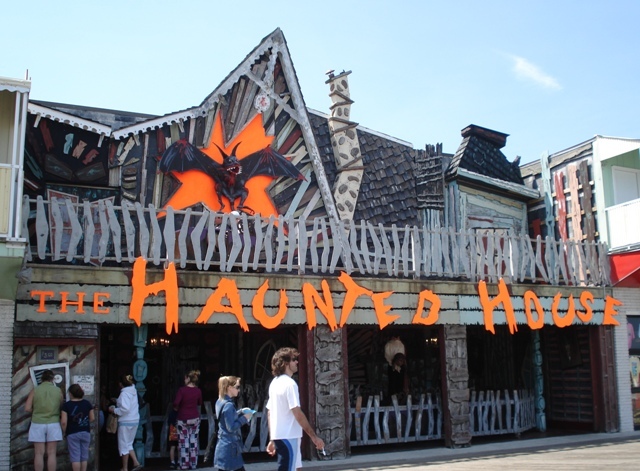 I personally like the Haunted House (my favorite one) and their many cool carnival rides. Wow, what a great TR. 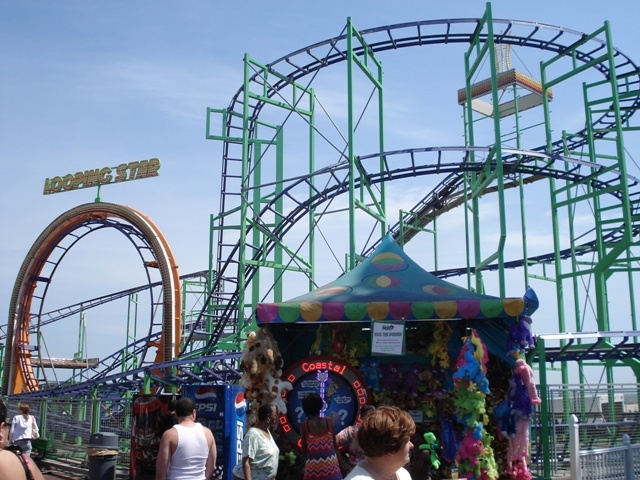 I remember going to Ocean City when I was about eleven or twelve years old. 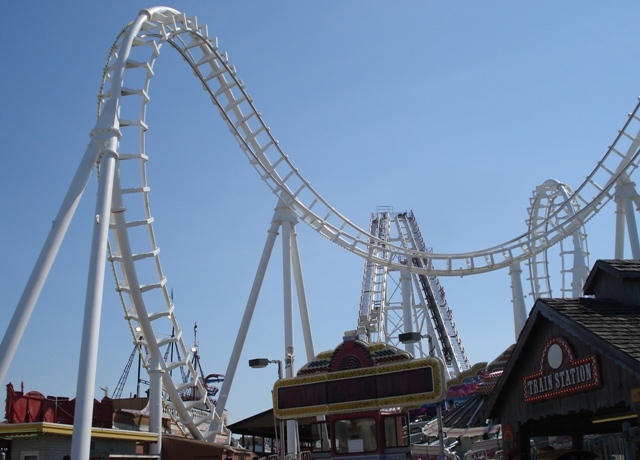 I remember my step-father going on Tidal Wave, and being so afraid of it. I definitely want to pay a visit, if not this summer then hopefully next summer. Kennyweird wrote: Tell me, does Trimper's or the Pier charge you at the gate, or is admittance free? 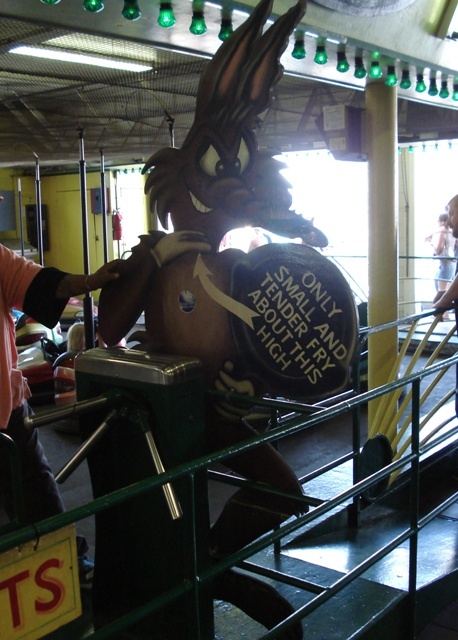 Nope, the only park in Ocean City that charges an admission fee is Frontier Town, and there are no credits to be had there. Thanks for all the positive feedback, everyone. It's always nice to hear people say good things about my home park(s). 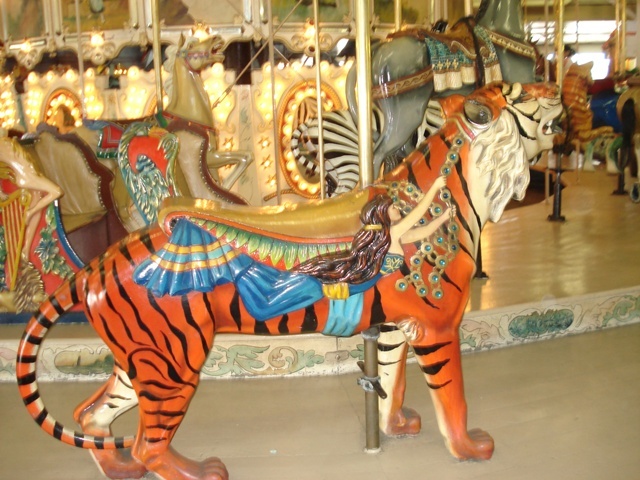 Though I gotta tell you, growing up riding Trimper's carousel has ruined all other carousels for me. 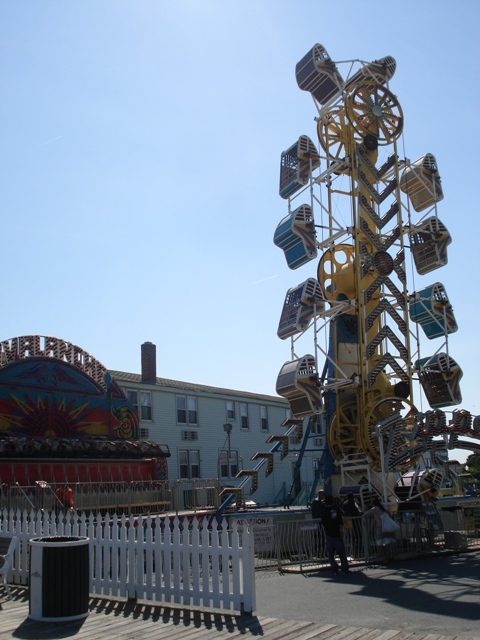 When I was writing my book on historic Maryland amusement parks a few years ago, I called Trimper's and asked if they had any photos of old rides I could borrow. Their PR/accounting person told me all they had were some scans of old postcards one of the Trimper children had put together for a school project (all of which ended up in the finished product). And then she gave me the best quote ever: "When we want to see what our old rides looked like, we just walk out front and look at them!" 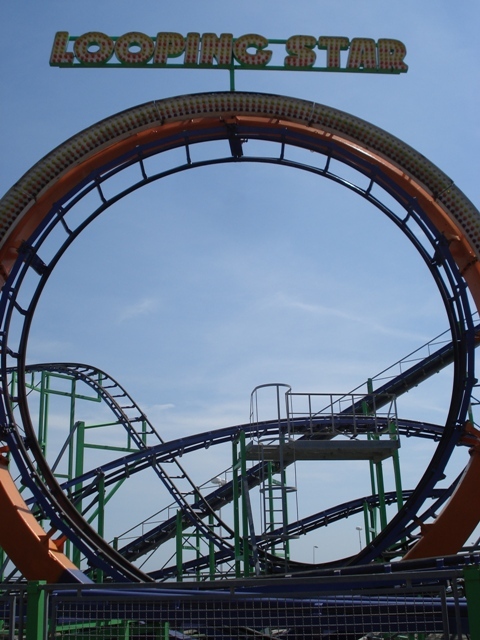 I had never seen detailed photos of the Ocean City parks before this, so thanks for sharing! Ahh, yes. 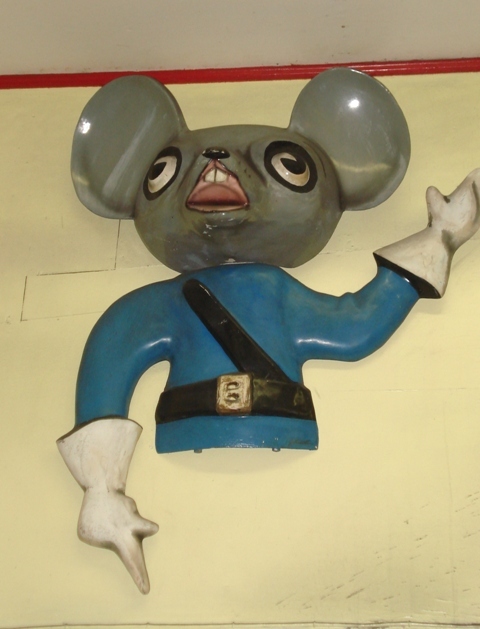 These mouse soldiers adorned both the entrance and exit of Schiff-built wild mouse coasters. 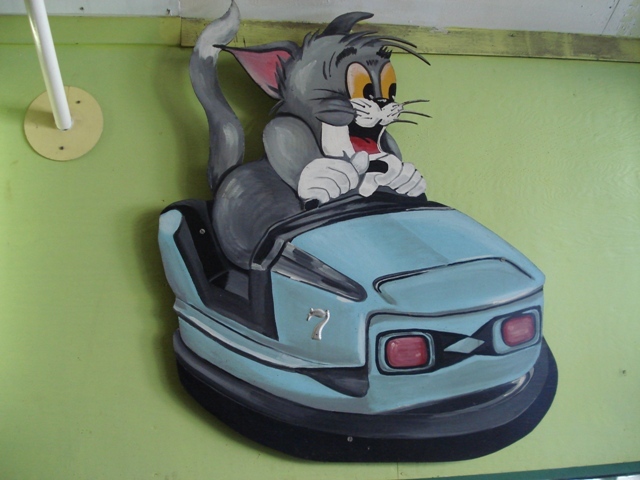 I'm taking a guess then that Trimper's had a Schiff Wild Mouse sometime in the past, did it not?